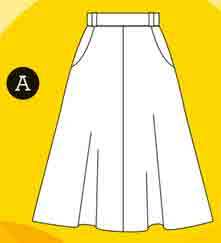 Thinking of sewing a skirt as an ‘advanced beginner’ project ? 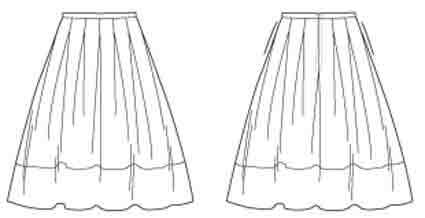 Or looking for help with constructing your own 6-gore skirt pattern ? Good sewalongs are a wonderful source of confidence and useful information. Of course it can be extra fun if you sew along at the time of issue, but they remain a useful source of information later. 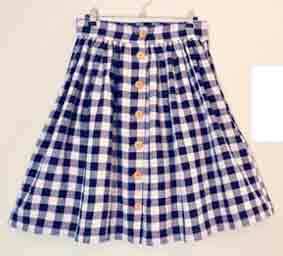 There’s a big selection for skirts – so many I doubt I’ve found them all. I’ve tried to group them according to style elements and difficulty. 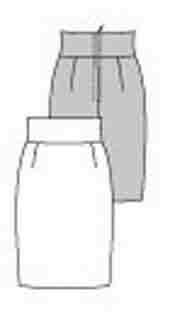 These are sewalongs with detailed step by step instructions which supplement the pattern. I haven’t included sewalongs which are mainly encouraging chat. There are many of those at Pattern Review and Sawyer-Brook. And this got so long I’ve divided it in parts. Some people like written tutorials with photos. Those are free. Some people like video demos. Those are pay-for. Some people are strongly one way or the other. Personally I like both, video to be sure what to do, written so I haven’t got to remember. 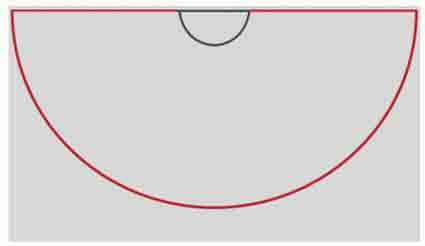 This post lists free on-line written tutorials with photos. 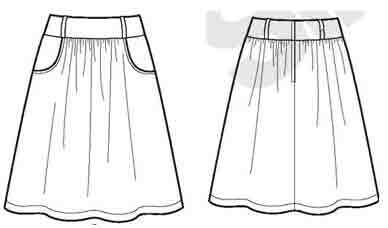 Here’s a post with links to skirt sewalongs with video demos (not free). I haven’t read through, let alone worked through, all of these. So no guarantee of quality, ease of understanding, completeness. . . Photos are not all equal. 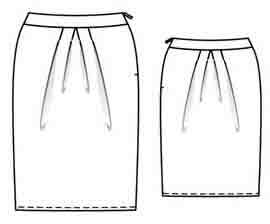 I have a commercial pattern with the garment sewn in heavily patterned fabric that looks the same on front and back sides, with stitching in closely matched thread. Impossible to see anything at all. I don’t think any of these sewalongs fall in that trap. All include zips unless otherwise mentioned. 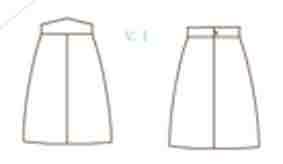 Or here’s a ‘draft it yourself’ sew along for a wrap skirt from Sew Mama Sew. A bit difficult for most complete beginners. No bought pattern needed, and no zips, but these are not easy techniques for complete beginners. 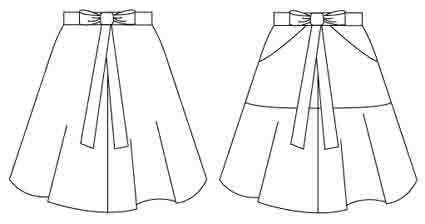 Similar instructions apply to many other styles which just vary in number of seams and shape of pattern pieces, such as gored, flared, tulip, trumpet shapes. 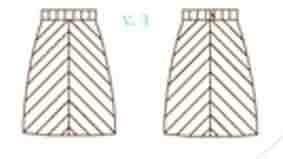 such as McCalll’s 3830 classic tissue pattern. 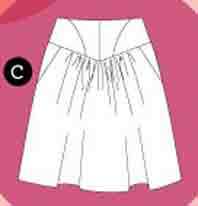 Jennifer Stern Ribbon bias skirt with central seam. 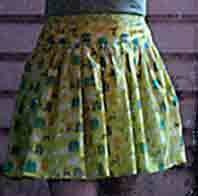 The image isn’t clear, so here’s the Collete Ginger skirt in a bias version. Jennifer Stern’s tissue pattern and tutorial (half way down), with advice about sewing on the bias. With many thanks to all the people who have done all the work of preparing these sewalongs. A few comments on how to choose between the possibilities in my second post, on video demos. I hope you’re pleased with what you make. 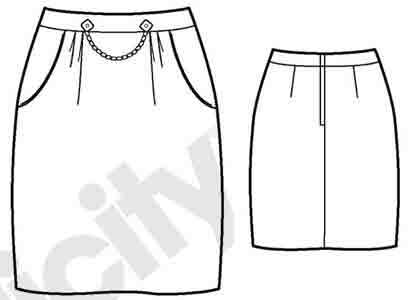 This entry was posted on July 20, 2013 at 8:25 am and is filed under learning to sew. You can subscribe via RSS 2.0 feed to this post's comments. Both comments and pings are currently closed. You are wonderful for taking the time to put this all together. Thank-you! I have learned so much about myself and my sewing habits from your posts and this one is another fabulous one. Thank you for taking the time to share all your insights. I have a much better idea of what to make for myself and all my girls from your wardrobe info and am a much better sewist for it.